Syncona Ltd (LON:SYNC), a leading healthcare company focused on founding, building and funding global leaders in life science, today announces the merger of its companies, Gyroscope Therapeutics (Gyroscope), an ophthalmology company developing genetically defined therapies for retinal diseases and Orbit Biomedical (Orbit), a specialist medical device company focused on precision sub-retinal therapeutic delivery. 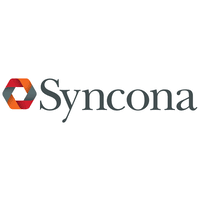 Syncona will own 82% of the enlarged company (a holding value of £28.9 million), which will retain the Gyroscope name. The merger creates the first fully integrated retinal gene therapy company with high quality manufacturing and a surgical platform that can support accurate, safe and consistent sub-retinal delivery of treatments to patients with blinding conditions. As it enters its next phase of growth towards commercial development, the merged group will be led by newly appointed CEO, Khurem Farooq. Khurem most recently held the position of Senior Vice President of the Business Unit Immunology & Ophthalmology at Genentech, where, notably, he was responsible for managing the commercial success of Lucentis and the pre-launch activities for Lampalizumab. Soraya Bekkali, who has led Gyroscope into the clinic, will continue to lead the research and development organisation as President, Head of R&D, whilst Mike Keane and Susan Hill, who led the founding and launch of Orbit, will become Gyroscope’s Chief Technology Officer and Chief Business Officer respectively. Additionally, Ian Clark, who most recently served as Chief Executive of Genentech, has been appointed as a Non-Executive Director. Gyroscope has provided further information in its press release which can be found here: http://gyroscopetx.com/press-releases/. Click SYNC for the full archive.